America's largest coal producer, Peabody Energy (NYSE:BTU), had a worse fourth quarter than analysts expected, as prices weakened on an oversupplied seaborne market for which strong Asian demand couldn't compensate. Full-year 2013 revenues were just over $7 billion, comapred with $8 billion the year before. Peabody attributes the drop to lower realized pricing in Australia and the US. Sales in the fourth quarter were down 14% to $1.74 billion. Analysts surveyed by Bloomberg were expecting around $1.76 billion. The miner reported a net loss per share of $2.12 for the quarter, compared with $3.78 the year before. Cost cuts totalling $340 million and reduced capital investments of 67% for the year helped narrow the loss. According to the company, 2013 was a record year for global coal demand. "China coal imports accelerated to a monthly record of 35 million tonnes in December and reached a new high of 320 million tonnes in 2013," Peabody wrote. India's thermal coal imports rose by 23% while Japan's consumption increased by 10%. And it wasn't just Asia: Germany's coal use reached the highest levels since 1990, Peabody noted. The company expects industrialization in China and India to drive up seaborne met coal demand by 10 to 15% over the next three years. 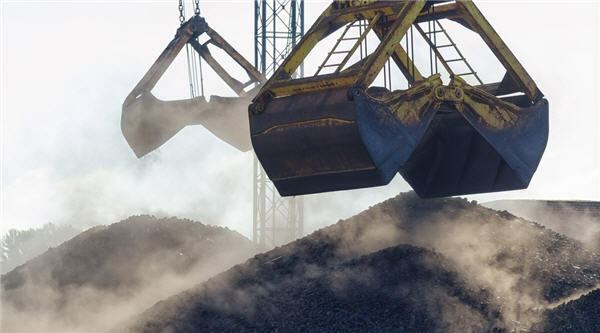 "Seaborne thermal and metallurgical coal demand reached a record 1.25 billion tonnes in 2013, and coal demand growth is expected to exceed supply increases, leading to improved fundamentals as the year proceeds," Peabody wrote. A rise in Australian met coal exports was a major contributor to high supply volumes, though Peabody expects this to slow in 2014 and global economic expansion to drive up demand. But the US coal miner could be fighting its biggest battles at home over the next few years. The current administration hasn't been shy about its aversion to the black rock. President Obama's policies have been dubbed a 'war on coal' by the coal industry. Following the President's recent State of the Union Address, Peabody issued a statement urging the administration to embrace coal and "rethink its plan around carbon to avoid policies that will further drive up energy costs." Peabody shares lost just under half a percentage point to trade at $17.23 per share after the results came out Thursday. The company is down 30% over the past 12 months.